Wright State is playing a key role in a new initiative by the U.S. Drug Enforcement Administration and will host a summit October 16 designed to throw the spotlight on the dangers of opioid abuse and the importance of the university’s community partners who are fighting the epidemic. 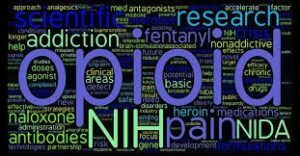 The October 16 summit will feature speakers designed to educate the audience about opioid addiction and inspire them to help wage war against it. The target audience will be high school and college students, faculty members, law enforcement, first responders and community leaders. Click HERE for more information and to register.